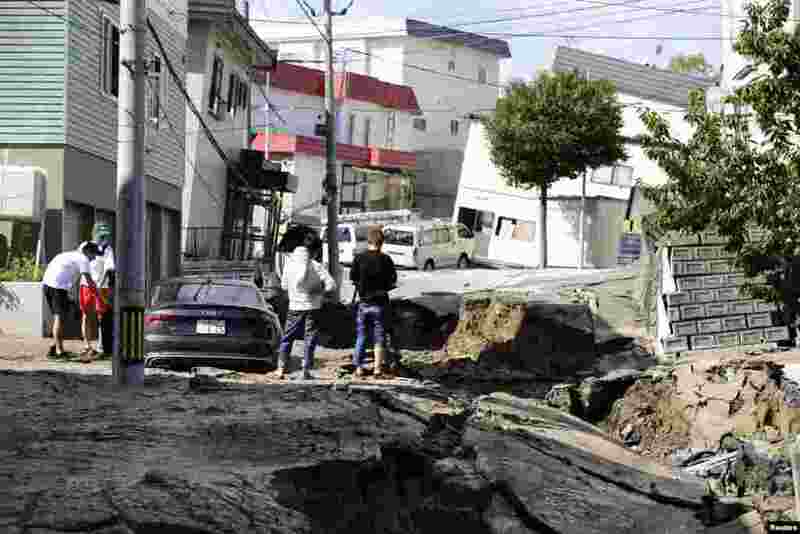 5 People look at an area damaged by an earthquake in Sapporo on Japan's northern island of Hokkaido, in this photo taken by Kyodo. 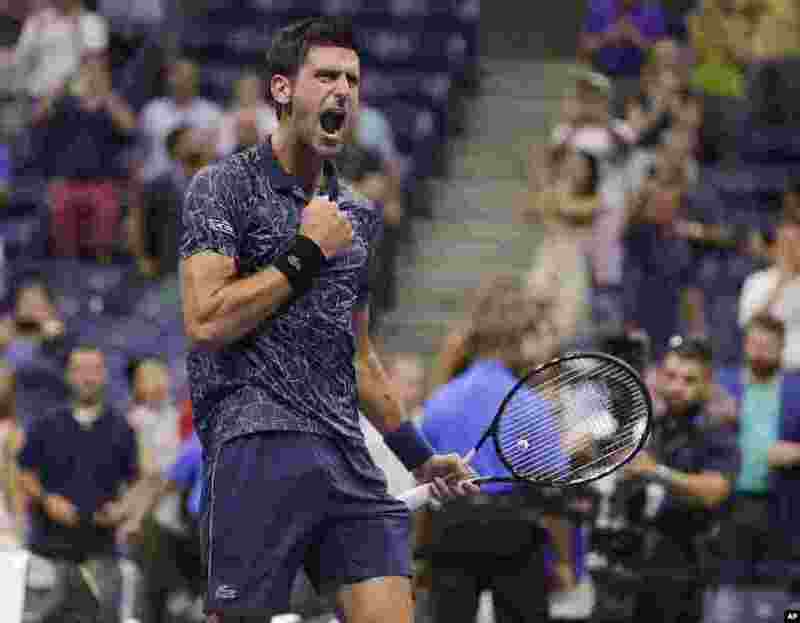 6 Novak Djokovic of Serbia, celebrates after defeating John Millman of Australia, 6-3, 6-4, 6-4, in the quarterfinals of the U.S. Open tennis tournament in New York, Sept. 5, 2018. 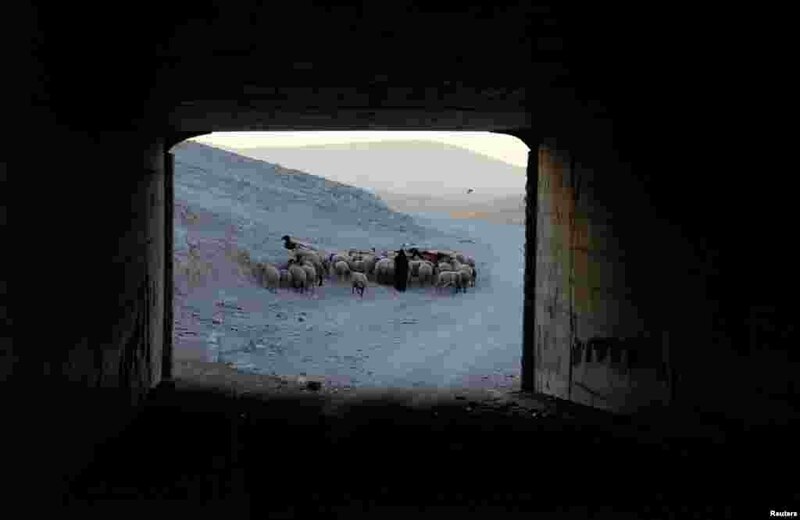 7 A Palestinian woman herds animals in the Bedouin village of Khan al-Ahmar, in the occupied West Bank. 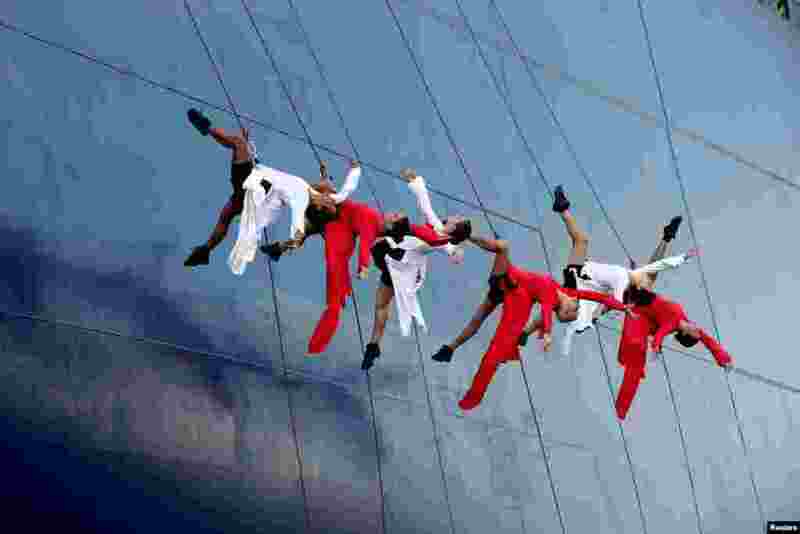 8 A group of dancers performs during the official inauguration of the CMA CGM Antoine de Saint Exupery container ship in Le Havre, France.